Join us at the annual SCARCE Green Fair. The fair is free and open to everyone so come out and browse a variety of eco-friendly vendors, learn about new eco-friendly topics at the mini-workshop series, and more. Mark you calendar! Join us for an eye-opening, week-long experiential graduate course. These courses are STEM-focused and NGSS-aligned. We'll climb the summit of this active landfill in the SCARCE bus to get an up-close view of the final destination for so many of our things. Learn about all the science and engineering required to ensure modern landfills don't harm the environment beyond their footprint. Learn how one DuPage community has tapped into their own source of drinking water and the large-scale processes they use to purify it. Wow was this a month for the books! 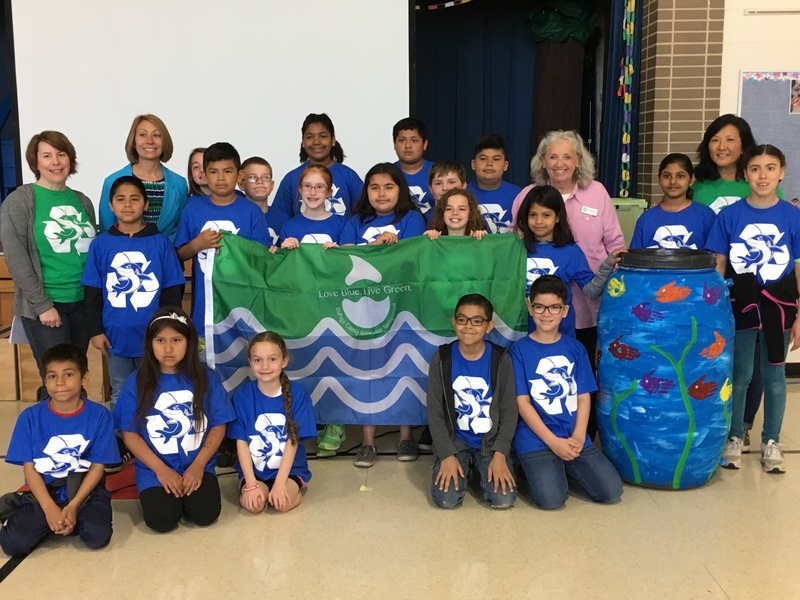 Five schools were awarded environmental flags for their eco-efforts across Carol Stream, Downers Grove, Lisle, Lombard, and Villa Park. And Monroe Elementary is honored as a 2018 U.S. Green Ribbon School. This year both Earth Day (April 22) and World Environment Day (June 5) are focused on ending plastic pollution. Do your part by making the pledge for a plastic-free July. Gain insights for the student-focused Zero-Waste Challenge October. School may be out but SCARCE is open all summer long! Truckloads of donations will be arriving each week. Stop by and stock up for next school year and avoid the August crowds. Volunteer and get first dibs on the best stuff! Students 14+ can also lend a hand at SCARCE to earn service hours all summer long! Help under-privileged students in DuPage County be prepared to go back to school. Volunteer with SCARCE to help children select books to take home. Looking for a hands-on project to get your students involved in improving their community? Students high school age and above can take part in protecting local rivers and streams with the Storm Drain Medallion project from SCARCE. Check out the video below to learn how Downers Grove students got involved. Contact us to get started. The Storm Drain Medallion project was funded in part by a grant from the DuPage Foundation. Keep your eyes tuned to our calendar for our fall evening workshops. Earn continuing development credits and gain hands-on experience with environmental activities and projects for your classroom! Students (age 14+) can earn service hours by volunteering at SCARCE over the summer, M-F 9am-4:30pm.